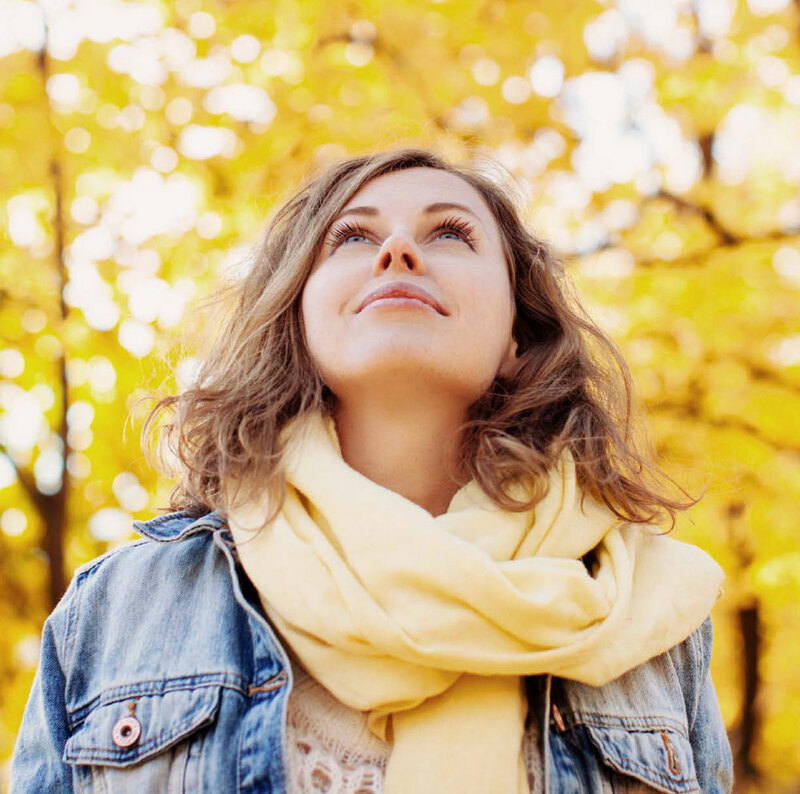 Fall is a natural time of transition, which makes it ideal fora gentle detox cleanse that will reset your body and mind while priming you for a winter of wellness. Detoxifying through your diet doesn’t have tomean fasting, and if done periodically, is one of the best ways to stay healthy. What follows is a 3-day gentle detox plan, filled with delicious, seasonal recipes that will aid your body in naturally getting rid of toxins. 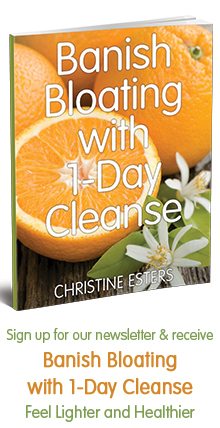 Our bodies are naturally built to detoxify every day as part of our normal body processes. We detox by eliminating and neutralizing toxins through our colon, liver, kidneys, lungs, lymph and skin. However, in this day and age we are exposed to a number of environmental pollutants in the air we breathe, the water we drink, and the food we eat. Furthermore, our chemical-laden diet with large amounts of animal protein, saturated and trans fats, caffeine, and alcohol inhibit our bodies from properly performing their detoxification processes. Bring water to a boil, and then add in oats, cooking according to directions. About 1 minute beforethe oatmeal is done, add in chopped apple and cover. Transfer to a bowl and sprinkle in cinnamon and sea salt. For a sweeter dish, add in maple syrup. Tip: Start each day with warm lemon water. It cleanses the blood, liver, and kidneys, and activates your digestive system for maximum efficiency throughout the day. Apples: This antioxidant-rich fruit helps reduce inflammation and is linked to heart and lung health. Steel Cut Oats: High in both soluble and insoluble fiber, oats will keep you satiated and your digestive system moving. Cinnamon: This aromatic spice boosts brain function, helps control blood sugar levels, and improves colon health. Dress with salt, pepper, olive oil, and a dash of lemon. Kale: One of the most nutrient-dense foods available, kale helps reduce inflammation and is linked to heart and lung health. Pumpkin Seeds: High in anti-oxidants and minerals, pumpkin seeds detoxifies the body and promote radiating skin. Hemp Seeds: An excellent source of omega 3 and 6 fatty acids, hemp seeds also aid in elimination. Cook lentils in a pot until tender using a 4:1 water to lentils ratio. Bring to a boil, reduce to simmer and cook for about 30 minutes on low. Meanwhile, dice sweet potato, spray with cooking spray and sprinkle with cinnamon, salt and pepper, and bake cubes at 400 degrees for about 30 minutes. Fill a bowl with baby spinach, and toss in lentils andsweet potato when done; add in walnuts and dates as well. Combine mustard, vinegar and maple in a jarand shake to combine. Pour over salad. Tip: Cook once, eat twice! A dish like this is perfect for refrigerating to be used later in the week, or brought to work for lunch. Spinach: Rich in vitamins, minerals, and nutrients, spinach protects against inflammation, oxidative stress, and cancer. Blend all ingredients in a Vitamix or high-speed blender. Tip: Local, seasonal vegetables help your body stay in tune with nature, so do your food shopping at a farmers market as often as possible. Farm fresh produce is often more flavorful, too! Grapefruit: This fiber-rich sweet and tangy fruit helps lower cholesterol, prevent kidney stones, and aids the digestive system. Pear: Packed with anti-oxidant, anti-inflammatory, and anti-cancer properties, pears also deliver fiber to aid in elimination. Cucumber: Nutrient dense cucumbers, which are 95% water, help flush out toxins and alkalize the body. In a large food processor (or chop by hand) process the broccoli until fine. Remove to a large bowl, and repeat with the cauliflower, and then carrots. Stir in the currants, parsley, and sunflower seeds. Season with the rest of ingredients, to taste. Broccoli: A strong detoxifier, broccoli neutralizes and eliminates toxins while also delivering a healthy dose of vitamins. Cauliflower: This anti-oxidant rich cruciferous veggie aids your body’s natural detoxification system and reduces inflammation. Turmeric: This powerful detoxifier and anti-inflammatory cleanses the liver and helps prevents many types of cancer. Line baking sheet with piece of parchment paper. In medium bowl, toss diced vegetables and shallots with 1 tbs. of olive oil and 1/2 tsp sea salt to coat. Spread the veggies out in one layer on a baking sheet. Roast in oven until all veggies are tender and some are starting to brown at the edges (about 22-25 minutes). Drizzle another tablespoon of olive oil and add fresh rosemary to the vegetables and toss to coat. Meanwhile, combine remaining 2 tbs. of olive oil, vinegar, and mustard in a small bowl and whisk with a fork until well combined. Place frisee in mixing bowl, pour dressing over greens and toss to coat. Serve salad, top with roasted vegetables. Tip: Cut your time in the kitchen by baking the root vegetables for this recipe and tomorrow’s soup at the same time. Carrots: Rich in fiber, antioxidants, and phytonu- trients, carrots aid the digestive tract and protect against colon cancer. Parsnips: High in vitamins and fiber, parsnips help lower cholesterol and regulate blood sugar. Turnips: This cruciferous veggie aids the body’s natural detoxification process, and is also a great source of vitamin C.
Tip: Want to know how to make green juice taste great? Add fresh lemon or apple to any green juice recipe to take away the “green” taste, while still providing all of the benefits! Celery: This health-promoting veggie speeds liquid elimination while also delivering high amounts of Vitamin K and C.
Ginger: Aids digestion, is highly anti-inflammatory, and protects against certain types of cancer. Lemon: Packed with Vitamin C, lemons also have an alkalizing effect on the body and a mild diuretic effect, helping you shed pounds. Place all cubed vegetables on a baking sheet, drizzle with olive oil and sprinkle with salt and pumpkin pie spice. Bake for 25-35 minutes or until tender. In two batches use a food processor or blender to blend vegetables with enough vegetable stock to reach a smooth consistency. Once processed, transfer to a soup pot on low heat, stirring in more stock until desired consistency is reached. Season with more pumpkin pie spice and salt, to taste. Tip: Make sure to drink plenty of water to help your body flush out toxins and stay hydrated. We recommend 8 glasses per day for maximum cleansing! Pumpkin: Packed with vitamins and carotenoids, pumpkin is also high in fiber and will help you flush out toxins. Cloves: A powerful detoxifier, clove contains a variety of phytonutrients making it an anti-inflammatory as well. Stack leaves, roll up and cut into thin ribbons. Put kale in a large bowl and cover with salt. Massage salt into leaves with your hands for about 2 minutes or until it looks wet and broken down. Transfer kale to a fresh bowl and discard any leftover liquid. Mix in onion, cranberries, apple and sunflower seeds. Dress with oil and vinegar and toss. Kale: One ofthe mostnutrient dense and anti-oxidant rich foods available, kale is a powerful bloodand celldetoxifier. Onion: Provides anti-inflammatory benefits and protects cells from oxidative stress. Helps lower risk ofcertaincancers. Sunflower Seeds: High in selenium, sunflower seeds aid the body’s natural detoxification system and help prevent cancer.